The two-time World champion cricketer, national football captain and reigning Asian Games champion wrestler took to twitter to express their gratitude. 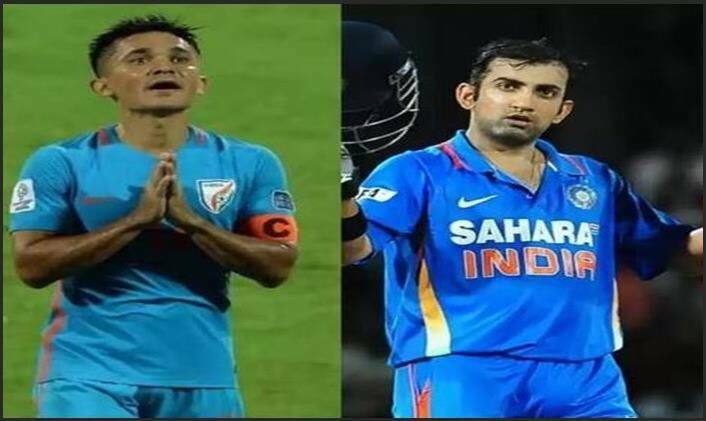 Gautam Gambhir the “human being” aspires to surpass the cricketer, Sunil Chhetri wants to be “hungrier” whenever when he dons the national colours while Bajrang sought blessings from one and all with an aim to scale greater heights after being nominated for Padma Shri awards. The two-time World champion cricketer, national football captain, and reigning Asian Games champion wrestler took to Twitter to express their gratitude. “It’s an honour I accept with gratitude. But it’s an honour which also comes with responsibility. I’m living for the day when Gautam Gambhir the human being beats Gautam Gambhir the cricketer. That will be my day, my award to myself,” Gambhir wrote on his Twitter page. Chhetri in a series of tweets thanked his family and fans for their support and also indicated that there is no chance of an international retirement round the corner for the second highest goal-getter (among current players) in international football after Cristiano Ronaldo. “Today, I find yet another reason to be grateful. I wouldn’t have been honoured with the Padma Shri Award if it hadn’t been for the teammates, coaches, staff, massuers, physios and management that I have had the pleasure of working with across all these years,” Chhetri wrote. “This one is also because of mom, dad,Sonam,Bandu, Lamba, Kunaal and all my friends and family who have stood by me through thick and thin, always pushing me on,” the Indian captain thanked his immediate family. In his final tweet, Chhetri indicated that he will continue playing for India. I’ll end with a promise of being hungrier every single time I step on the pitch for country and club. And trying to be a better human being every single day.